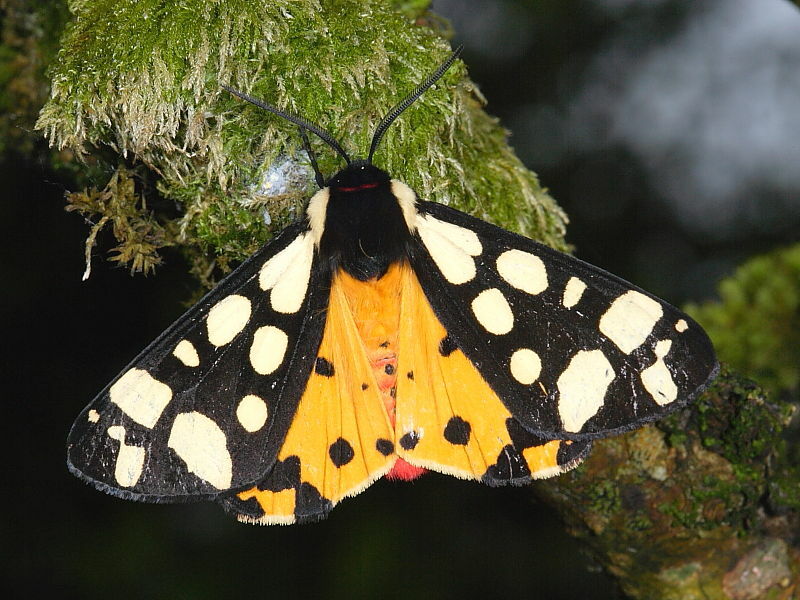 Moths and butterflies form a large order of insects known as Lepidoptera. 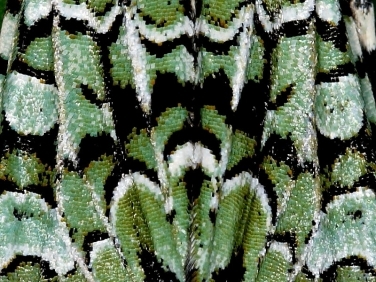 The name Lepidoptera is derived from the Greek word for “tile winged”, referring to the scales that coat the wings of butterflies and moths (see detail of Merveille du Jour moth above left). Moths, in common with other insects, are invertebrates being boneless and lacking any internal skeleton. 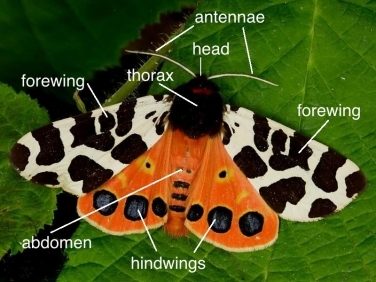 Their bodies are made up of sections having a head, thorax and abdomen with attached wings and legs (see annotated image of Garden Tiger above right). 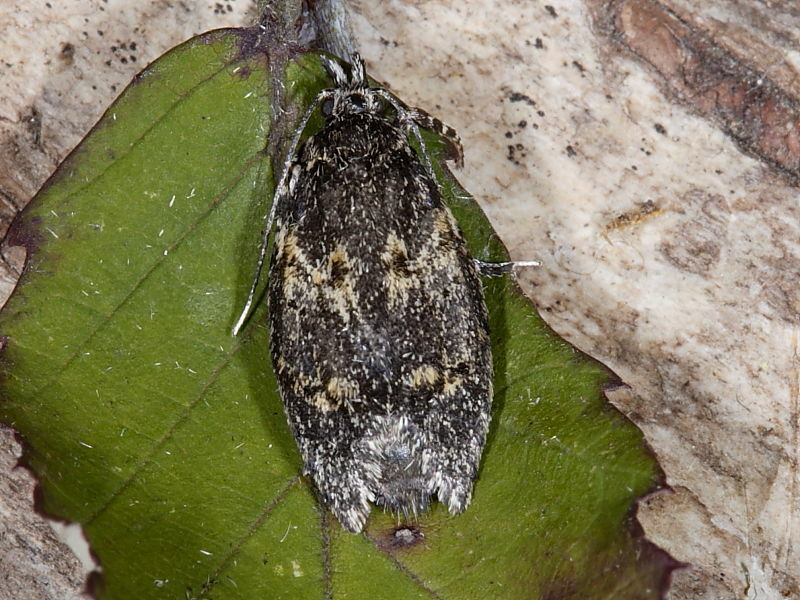 In the British Isles approximately 2,600 different species of moth have been recorded. 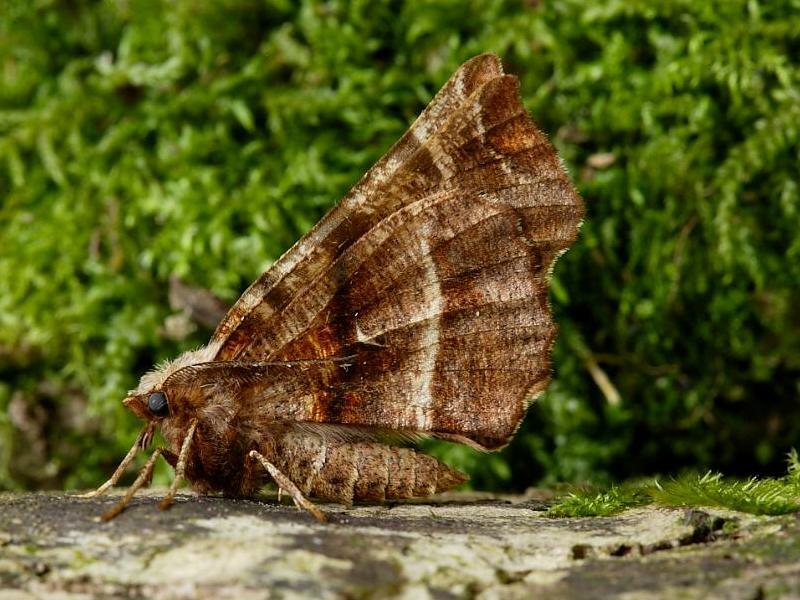 There are many different sub families of moths and butterflies that make up the order Lepidoptera in the British Isles. 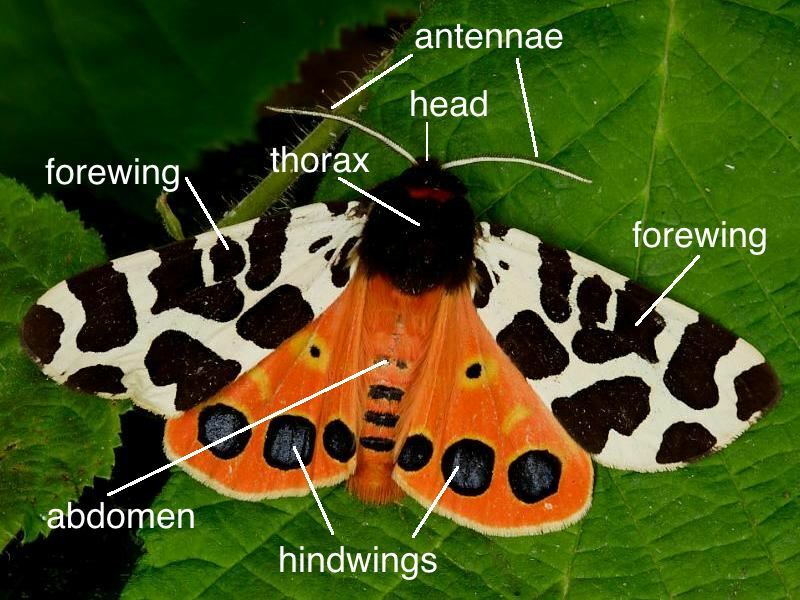 Although, many moth species within these families can appear very different they do all share the same basic anatomical structure. 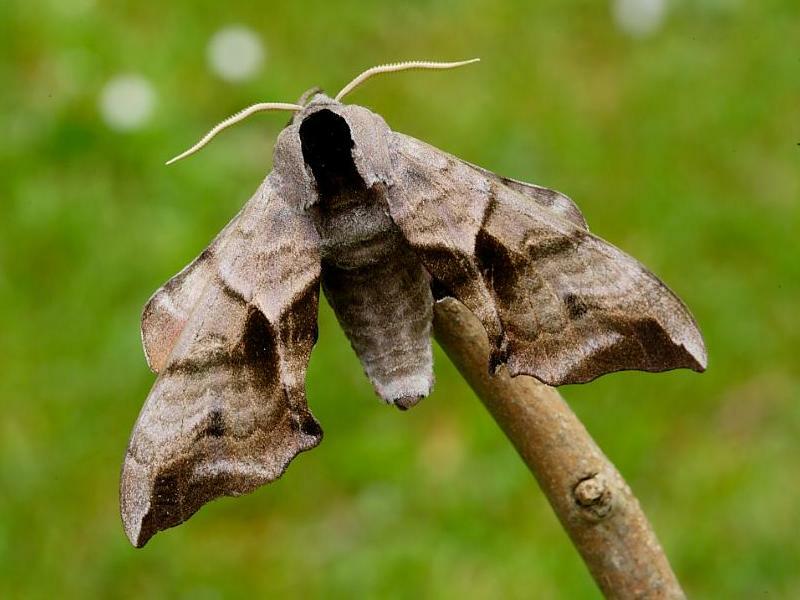 How many wings does a moth have? 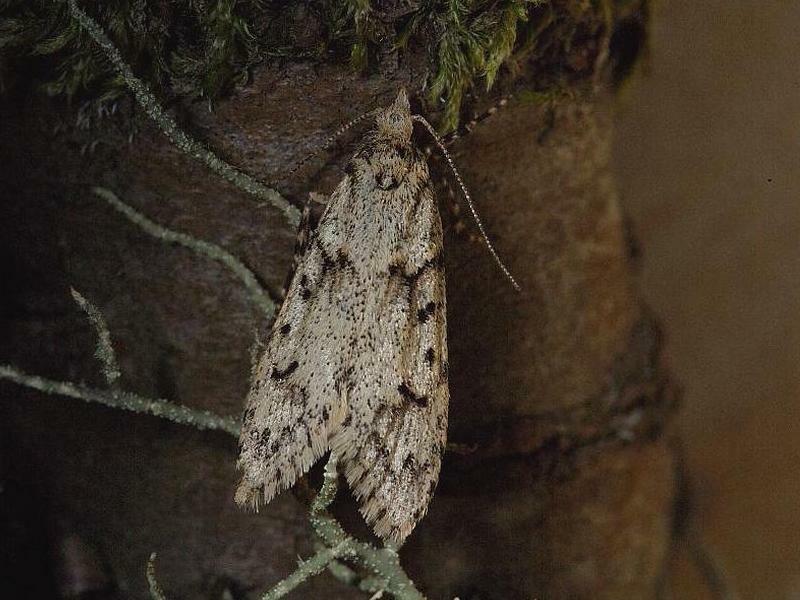 Moths have one pair of forewings and a smaller pair of hindwings. 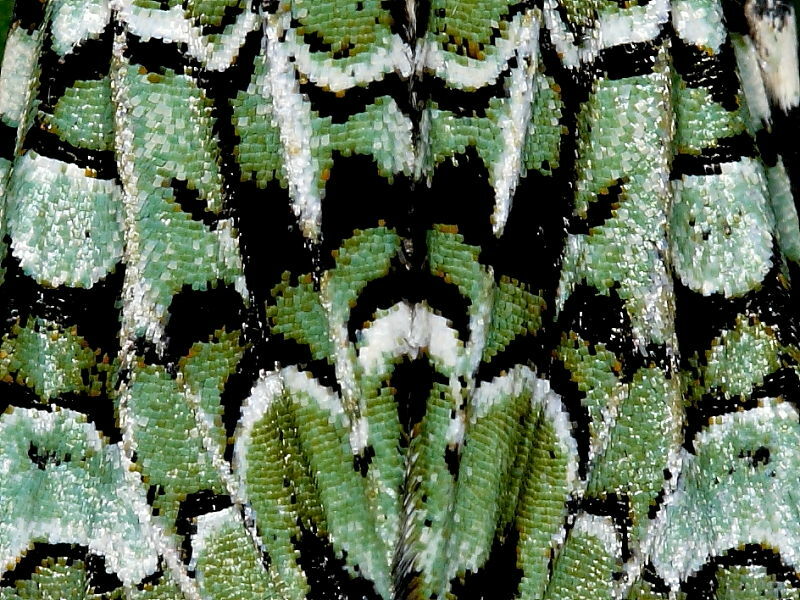 How the wings are displayed when in a natural resting position varies between species. 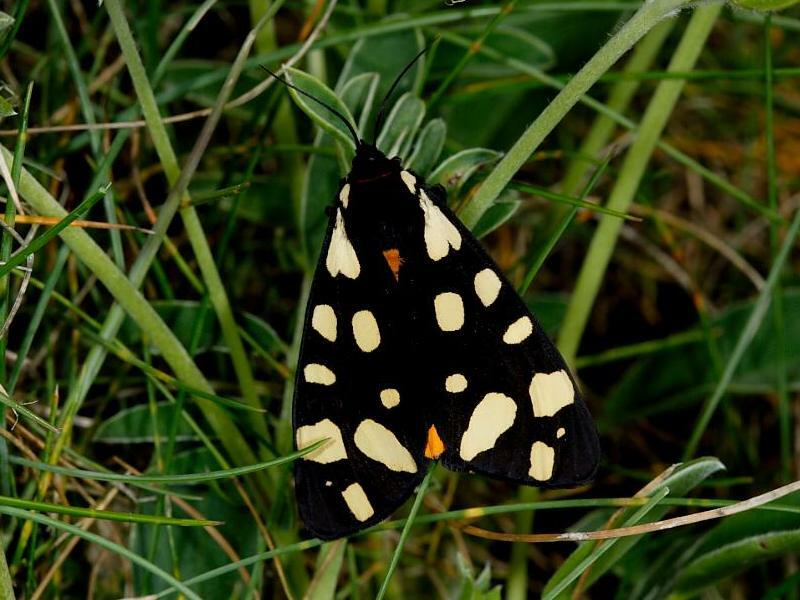 Many moths conceal their hindwings by folding back their forewings and only reveal them when either disturbed or preparing to fly (1 and 2 above – Eyed Hawk-moth; 3 and 4 above – Cream-spot Tiger). 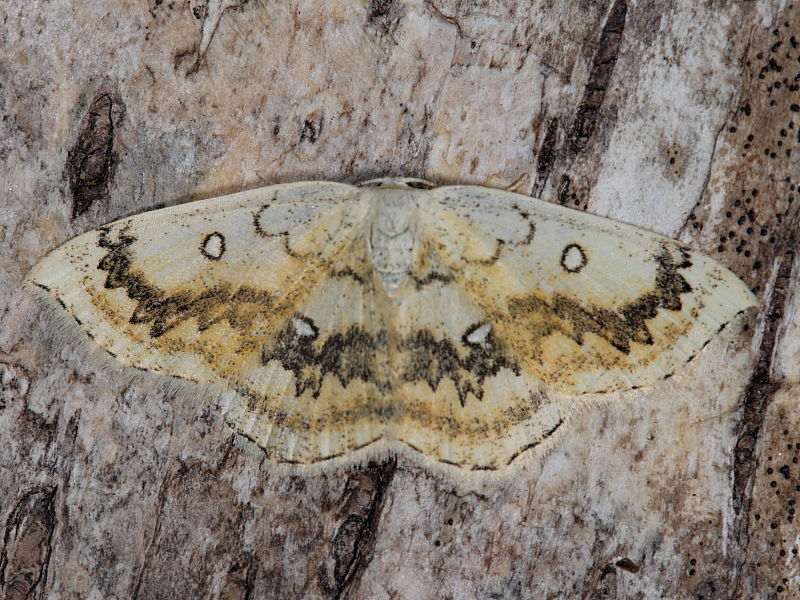 Other species, including most of those that make up the large family of moths known as Geometridae, rest with their wings held open and hindwings on full display (1 above – The Mocha). 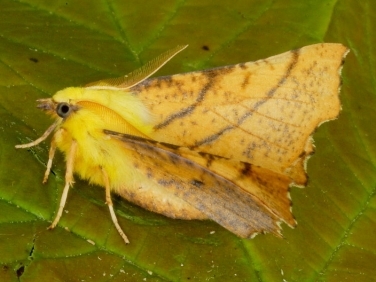 Although a small group of Geometrid moths, referred to as Thorns, rest with their wings held either closed or partially shut vertically above their heads (2 above – Early Thorn). 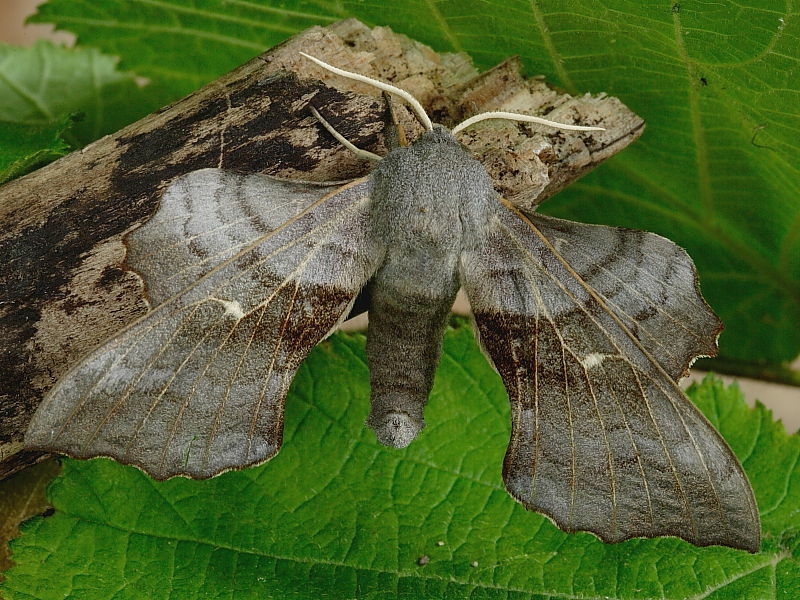 The Poplar Hawk-moth is very unusual because it holds its hindwings further forward than the forewings when at rest (3 above). 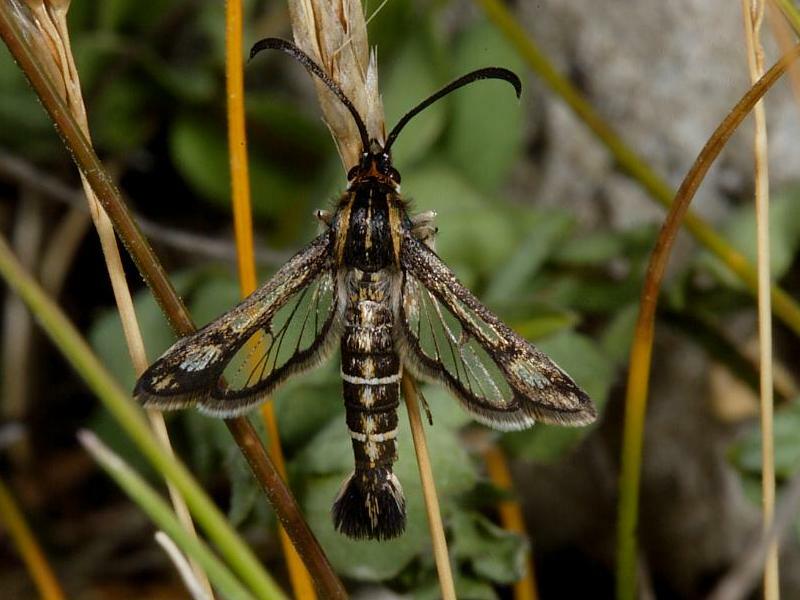 The daytime flying Sesiidae family of moths have transparent wings and are appropriately known as “clearwings” (4 above – Thrift Clearwing). Do all moths have wings? There is also a small number of moths where the females are either completely wingless or have under-developed wings, known as vestigual wings, and are flightless. 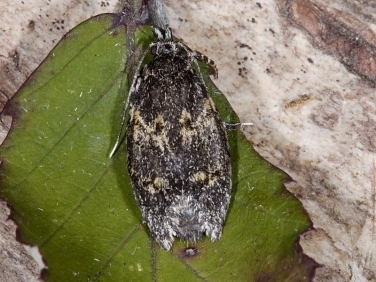 Many of the species with flightless females, such as Diurnea fagella (female above left and male above right), emerge early in the year but why this should be has yet to be fully explained. 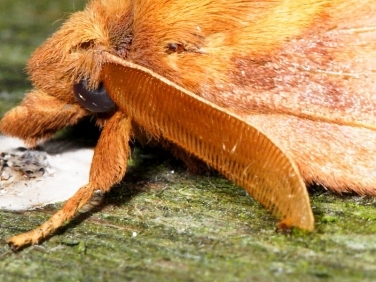 What are a moth’s antennae used for? 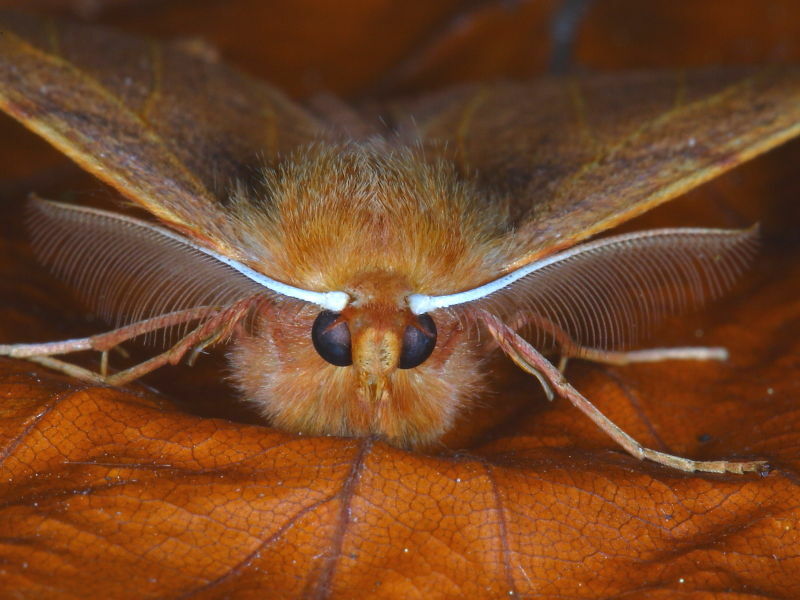 Moths have a pair of antennae which vary in size and complexity according to species (Feathered Thorn male above left). The more research that is carried out the more we learn about the range of senses that may be attributed to the antennae. They are certainly extremely sensitive to smell and are used to detect both food sources and mating partners. 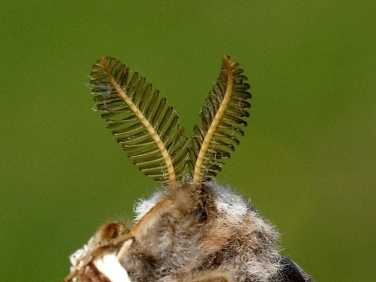 The males of some species have enlarged comb like antennae that can detect the pheromones given off by unmated females from as far away as to 2 kilometres (Emperor Moth male above right). In common with many species, The Drinker male (above left) has large comb-like antenna, known as pectinate, whilst the female The Drinker (above right) has far more refined antennae, presumably as she doesn’t have to find a mate. However, some females don’t even feed which begs the question why do they have antennae at all? Recent studies of Monarch butterfies in America suggest that antennae may also play a crucial part in navigation. However, there is much we have still to learn. 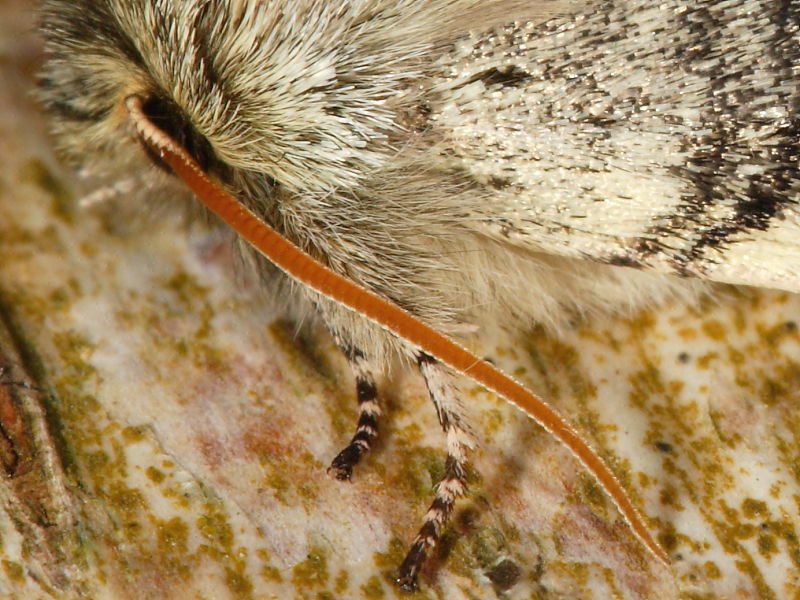 The Yellow Horned moth (above left) has even been named after the colour of its antennae which appear orange! 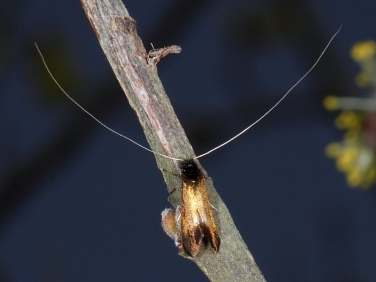 Some tiny species of moths such as Adela cuprella, a member of the Adelinae family of micro moths often referred to as “Longhorns”, have antennae considerably longer than their 15mm wingspan (above right). 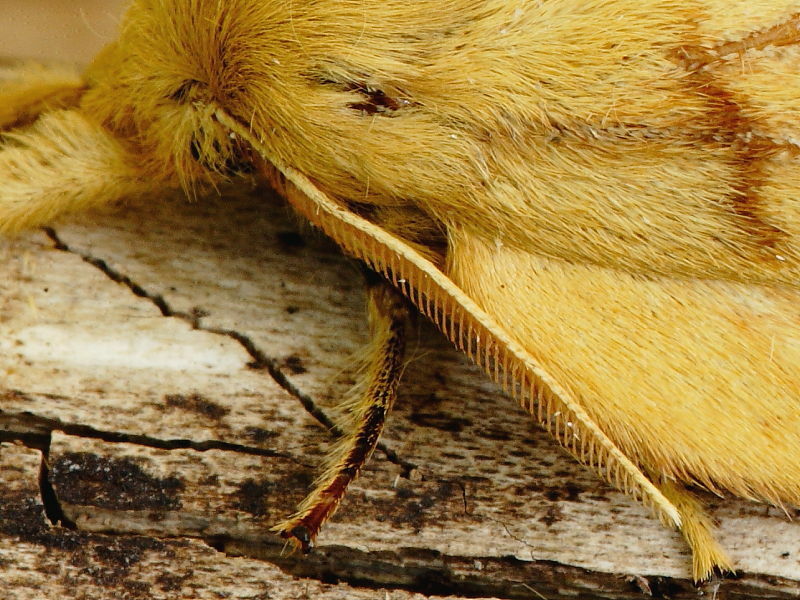 Moths have six segmented legs (Canary-shouldered Thorn above left) and two eyes located on either side of the head. 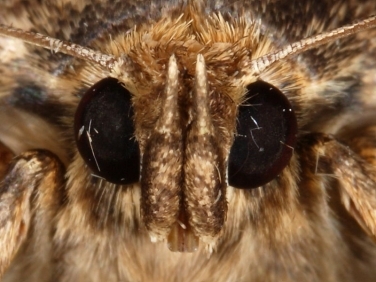 The size of the eyes varies considerably according to species, perhaps indicating the different priorities some moths give to eyesight. Many moths have a single tongue-like projection known as a proboscis located at the front of their faces which they use to feed (Copper Underwing above right). 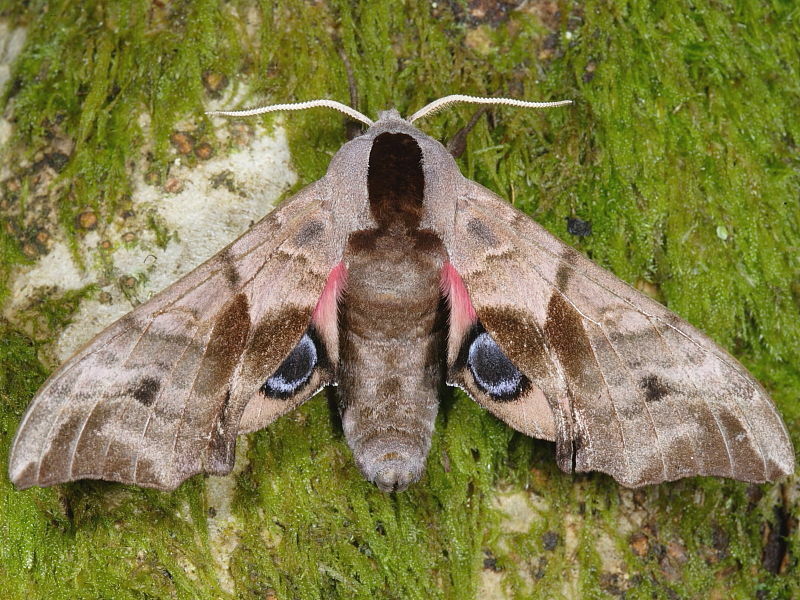 Some species such as the Humming-bird Hawk-moth have an elongated tongue which it projects deep into flowers to sip nectar. When not feeding the proboscis is retracted either into the mouth or curled up like a spring. 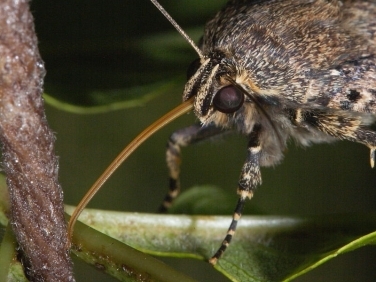 However, many moth species do not feed and so do not have a proboscis. 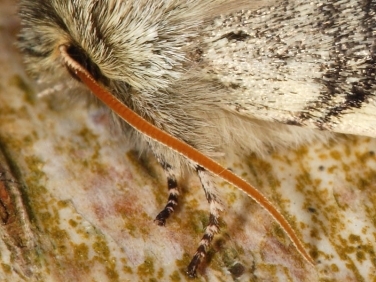 Two labial palps extending from the mouth are considered to be modified mouth parts and are again more pronounced in some species than others (Copper Underwing above left). There is some debate as to the purpose of palpi with some suggesting they provide a protective cover for the proboscis while others believe that they are covered in scent detecting glands and are used for detecting food. 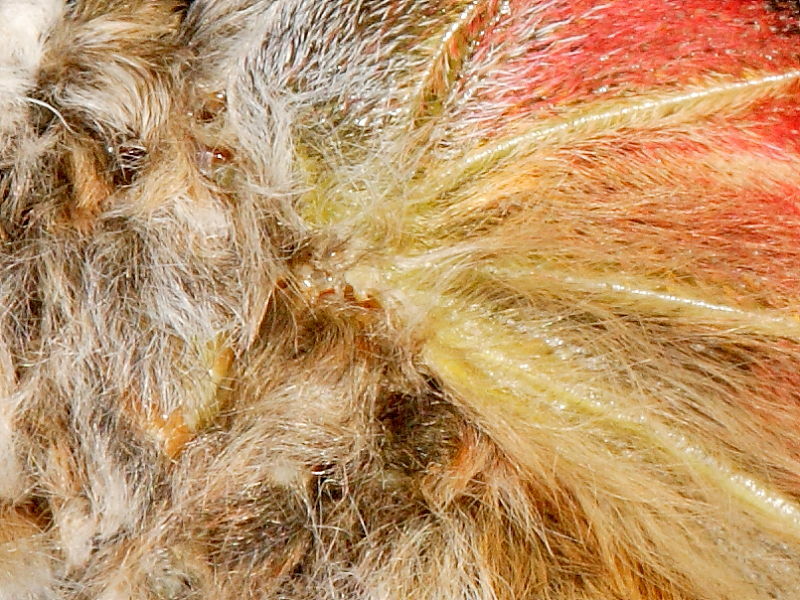 Moths have hearing organs hidden amongst the hair on their thorax at the base of their wings (developing Emperor Moth male above right). Recent studies have shown these sensory organs are extremely sensitive but how much they can hear is still uncertain. It is thought that their ears can detect the ultrasonic sound waves given off by bats and so take avoiding action and escape.